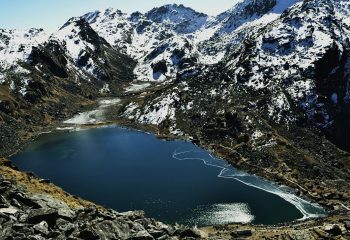 This trek is full of natural and cultural wonders around the western part of Langtang National Park. 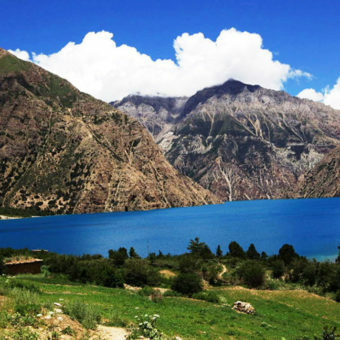 The buzz of the journey is further escalated by the majestic views of Langtang valley, the Kyanjin Gompa, the home of more than a dozen of lakes – Gosainkunda, the cultural hub – Helambu region and many other superb landscapes. A Mountain Kick representative will receive you as you land into Kathmandu and take you to your hotel. Sightseeing in Kathmandu. Pre-trip Meeting. We will take you on a guided tour to three iconic monuments in Kathmandu which are included in the Unesco’s World Heritage List. Our first stop will be the Pashupatinath Temple, one of the biggest and holiest shrines in the world of Hindu god Shiva. We visit another World Heritage Site of Boudhanath Stupa, one of the largest Buddhist stupas in the country. It is believed that the Stupa is a tomb of an incarnation of Lord Buddha. We then drive to Bhaktapur to visit the Bhaktapur Durbar Square. The square is a former royal courtyard where there are several ancient temples and monuments to visit. The place is rich in culture and preserves the traditional way of living. Drive to Syabrubesi (1,550m/5,100ft) by public bus. It takes about eight hours to reach Syabrubesi in a public bus. The view outside the window is very beautiful as we pass through rivers, hills and towns all the way to Syabrubesi. We will have lunch somewhere along the way. Trek to Lama Hotel (2,380m/7,830ft). We have to trek uphill for about six hours to reach Lama Hotel. 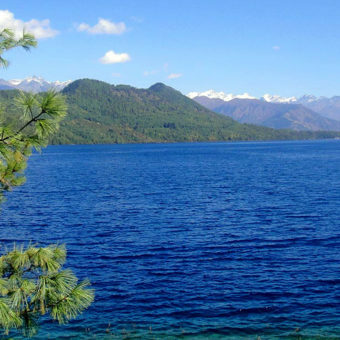 We will pass through a forest with a chance of encounter wild animals such as red panda and the Himalayan bear. There are several rivers and streams which we have to cross so the journey will be interesting. 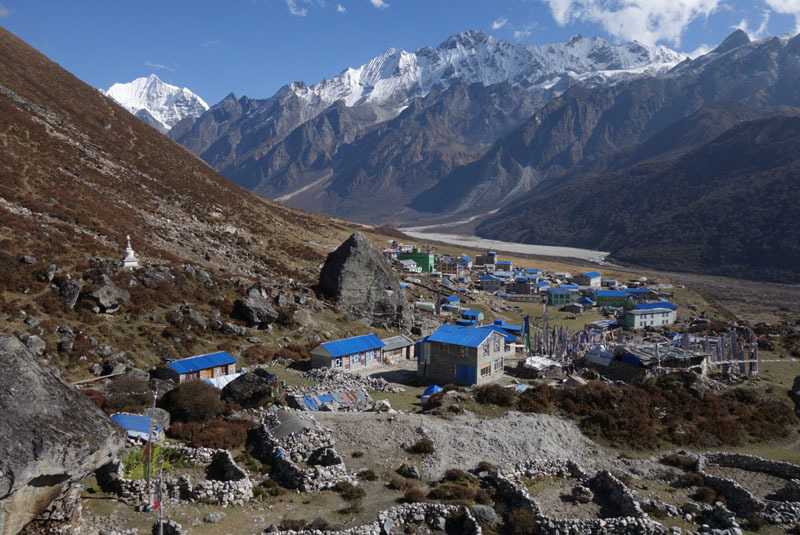 Trek to Mundu (3,543m/11,621ft) via Langtang village (3,430m/11,253ft). We will have gain more than 2,000 feet this day and the trail is steeper than the previous day. You will get to see vast Himalayan grasslands which serve as yak pastures as we head towards Langtang village. We reach the village in five hours. 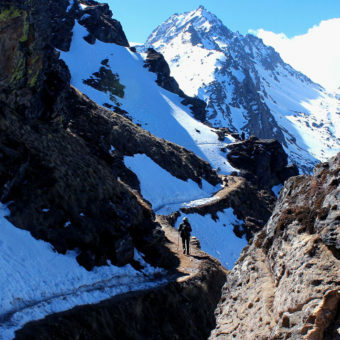 Mundu is 30 minutes of trekking away from Langtang. Trek to Kyangjin Gompa (3,870m/12,697ft). We walk past some more meadows till we arrive at the largest Buddhist prayer wall in Nepal. Look around and pray cause you will need it for making it this high above the sea level without getting sick. 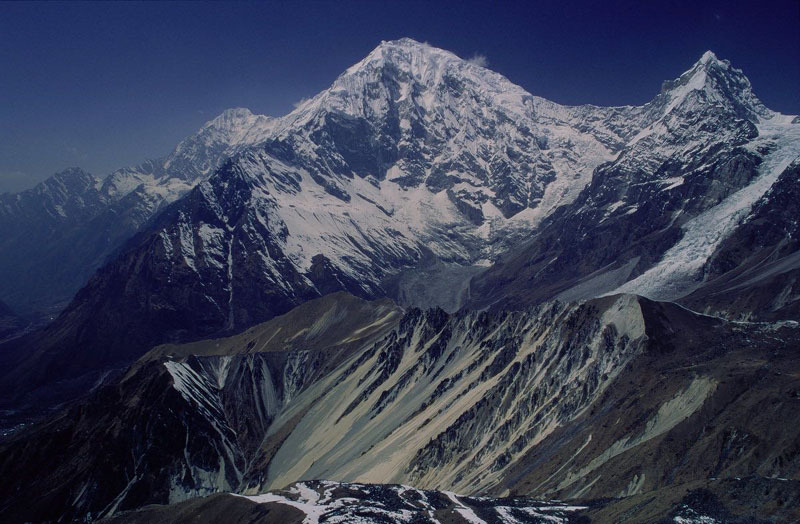 We will finally arrive at Kyanjin, right in the middle of the Himalayas, after four hours of trekking. The base of TserkoRi lies some one and a half miles away from Kyangjin Gompa. The place seems like an ice desert as you slowly gain altitude walking on loose snow-covered rocks. 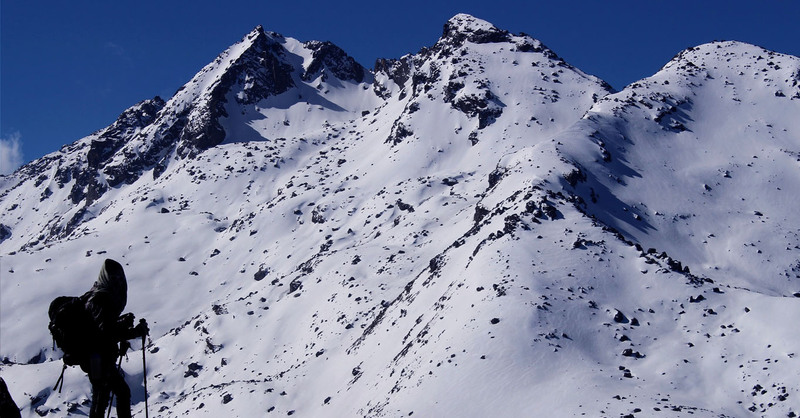 The summit of TserkoRi takes you through a very steep and zigzag trail. Be prepared for this because one wrong footstep can be dangerous. 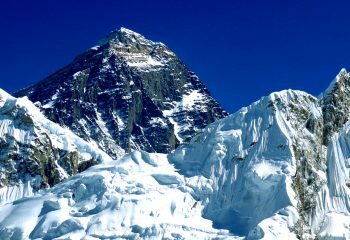 But you will make to the summit and back in about eight hours if you go slow and steady. Trek back to Lama Hotel. We start getting back and pass through the same forests and rivers till we get to Lama Hotel. It takes six to seven hours. We trek further downhill to Syabrubesi, the same place we were at on Day 03 of the trip. It takes no more than five hours to reach here. This is where the trek ends. We climb to Dimsa village and further up forests to Shin gomba. 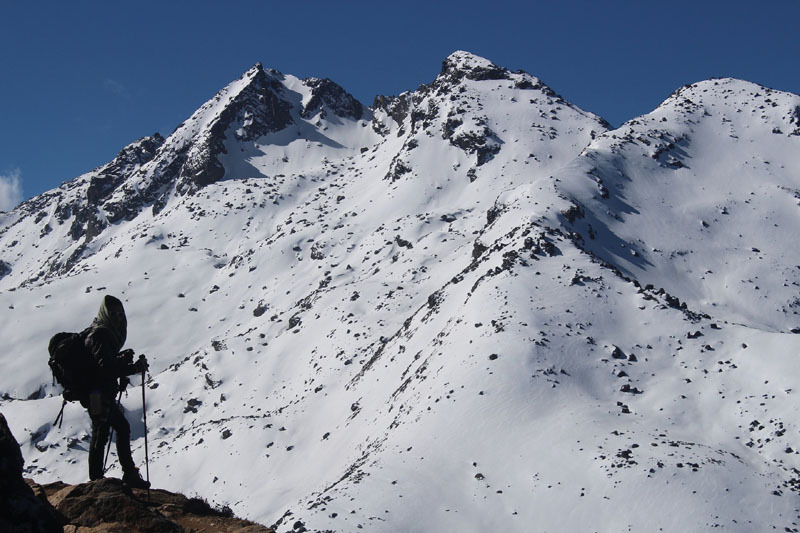 You will be treated with beautiful views of Langtang Himal and Langtang Valley on the way. The whole trek takes around five hours. We climb up through rhododendron forest to reach Gosainkunda. On the way lies a sanctuary for red panda which will be another point of attraction. It will be a tough day of trekking as the trail is very rough. 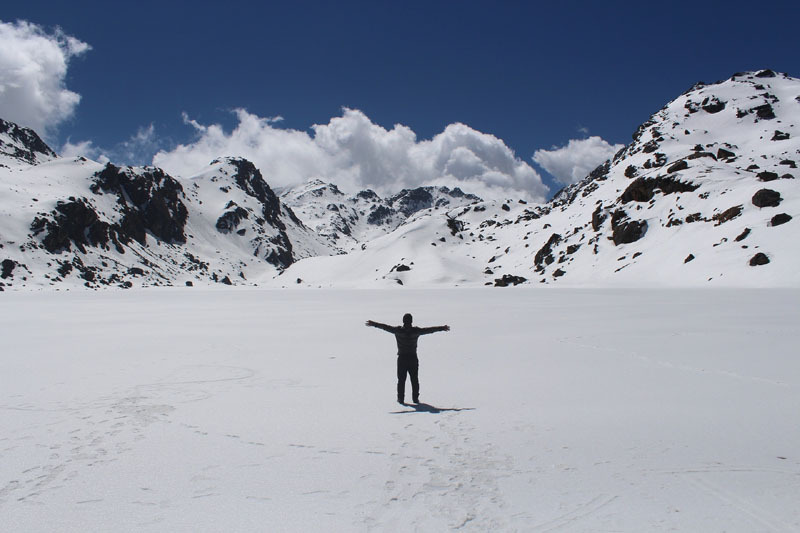 We have to cross several small lakes and then climb up to the Laurebina La Pass(4,609 m / 15,121 ft). After crossing the pass, we will trek down to Phediand cross forested hills till we reach Gopte. We will again walk through rhododendron forest but it will be downhill till we arrive at Kharka. We then climb up to the village of Thare Pati. Across the village, we will have to cross another forests before making the final climb up to Malemchigaon. It takes a total of seven hours. We will enter the Helambu region this day. TarkeGyang is uphill from Melamchigaon and is a beautiful village inhabited by indigenous Sherpa people. After getting across a forest, you will cross a valley and pass the villages of Parachin and Gangyul. You will reach Sermathang seven hours after leaving Tarke. Trek to MelamchiPul Bazaar. Then drive to Kathmandu. MelamchiPul Bazaar is a short and easy walk downhill. From there, you will board a tourist bus to Kathmandu. We have nothing planned for this day so you might want to go sightseeing around Kathmandu. But before you leave, we have a farewell dinner to officially end your vacation. We will drop you to Tribhuvan International Airport and recollections of your Himalayan journey will surely keep you busy throughout the flight. Stay at teahouses during the trek on a twin-sharing basis. Breakfasts, lunches and dinners will also be taken care of. Fully paid round bus tickets for Kathmandu-Syabrubesi and MelamchiPul-Kathmandu rides. Other rides in private vehicles included in the itinerary. In Kathmandu, you will stay in a three-star hotel while you will be staying at standard guesthouses during your travel. There will be electricity, internet, laundry and hot showers in all of the places you stay. You will have to share your room with a fellow traveller in our typical package. Single supplement will be served on request and will cost an additional USD 200.Also note that single rooms is easily available in Kathmandu and the trekking regions at lower elevation but it might be difficult to find them at higher elevations.